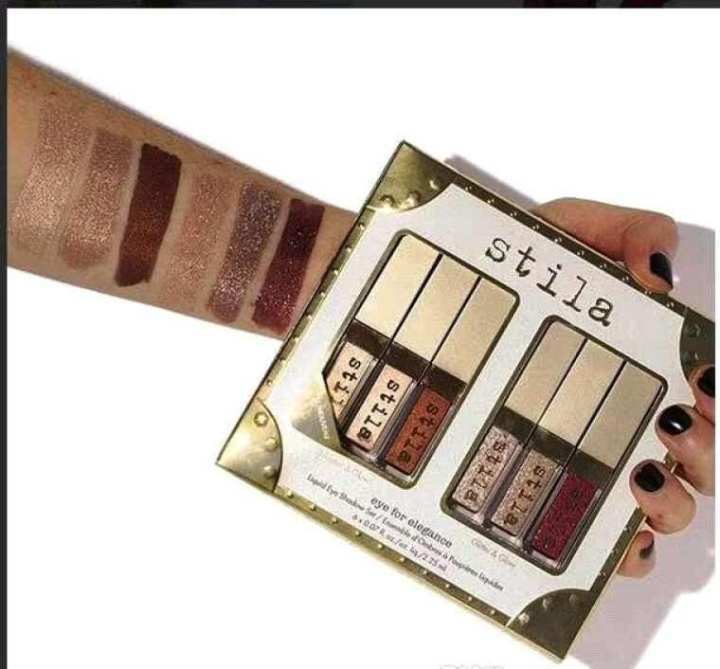 Product details of Stila Liquid Eye Shadow Set. Six colors Shimmer & Glow/ Glitter & Glow Eyeshadow High Quality. Beauty Accessories are one of the most important parts of your daily routine and without appropriate measures being taken, it can lead to significant concerns about your look. Beauty Accessories includes all of these accessories that decorate your face as you like. Beauty Accessoriescan help defining highly beautiful look as well as gives a gorgeous look.Many beauty accessories are designed for use of applying to the face and hair. They are generally mixtures of chemical compounds; some being derived from natural sources (such as coconut oil), and some being synthetics. Common beauty accessoriesinclude lipstick, mascara, eye shadow, foundation, rouge, skin cleansers and skin lotions, shampoo, hairstyling products (gel, hair spray, etc. ), perfume and cologne. Beauty Accessories or Cosmetics applied to the face to enhance its appearance are often called make-up or makeup. Specifications of Stila Liquid Eye Shadow Set. Ratings & Reviews of Stila Liquid Eye Shadow Set. Please visit "My Orders" page to check the order status. how can i return the wrong product?